We believe in making a personal connection with each student to guide them towards their ideal course of study. That’s why a conversational interview is a key step in the application and enrolment process. You’re welcome to start your application process with a conversation, or you may prefer to prepare by having a look at what is on offer to get a sense of what you think might be an attractive starting point for your studies. What are your areas of interest? Are you aiming to complete a particular academic qualification? Do you intend to study full-time or part-time, in the classroom or online, during the day, in the evenings or at weekends? Use our website to identify a possible starting point for your studies. We would love to meet you in person but, if that’s not practical, the conversation can take place via telephone. To set up an appointment, contact Dorothy, our Registrar, on (03) 9340 8100 or email registrar@whitley.edu.au. Dorothy will connect you with the Dean or relevant program coordinator to chat about your study options and determine together a suitable starting point and pathway tailored to your interests. Please complete your application as early as possible to allow time for the necessary enrolment steps and to help us ensure we have the required numbers to run all classes. Please refer to the English language Requirements of the University of Divinity Admissions Policy. Note: the University requires originally certified hard copies of supporting documents. We can make the necessary copies at our office if you bring in your original documents. 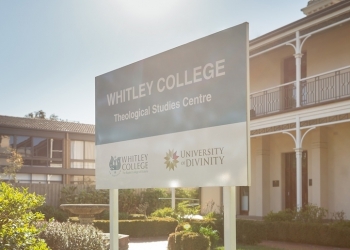 Submit your completed Application form – via email to registrar@whitley.edu.au, or hard copy to the Whitley College office in person or by mail to PO Box 134, Parkville VIC 3052. 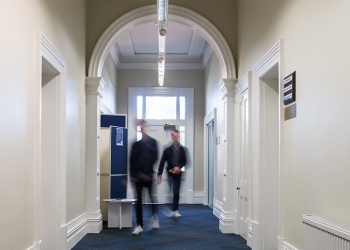 Once your application has been reviewed and approved by the Dean, then entered into the University records, you will receive a welcome email from the Whitley College Registrar. Please look out for your welcome email as it includes important information! Occasionally these emails can end up in a ‘junk’ or ‘spam’ folder, so please check your email settings. The University of Divinity will then complete their part of the enrolment process and send you a formal admission letter. Test your access to the online Learning Management System (ARK) – instructions in your welcome email. Access your enrolled units on ARK one week before classes start. To request changes to your enrolment during the year – whether amending personal details, changing your choice of units, or changing course – please use the appropriate form from the University of Divinity website. Any changes to units or course of study must be approved by the Dean.